LONDON, Sporting Alert — Tottenham have a strong desire to win the English Premier League title this season and they kept pace on leaders Chelsea with a 2-0 win over Arsenal in the London derby on Sunday. Dele Alli and Harry Kane both hit the back of the net in the second for Tottenham, who stayed four points behind Chelsea, who also won earlier in the day. Poor defending from Arsenal saw them falling behind in the 55th minute after Alli reacted first to score, following a shot that was saved from Christian Eriksen, who had weaved past his marker inside the box. The ball fell to Alli, who forced it home after Alex Oxlade-Chamberlain had made a dreadful attempt to clear the ball. Kane then made it 2-0 two-minutes later when the England international won and scored a penalty kick, which he fired low into the bottom corner after he was cleaned inside the area by Gabriel. “I have to blame myself a bit for my header at the far post – I was kicking myself for missing that – but we dominated from the start,” Alli said, speaking to BBC Sport. “It’s a huge win for us and the fans. We just have to keep looking to improve. 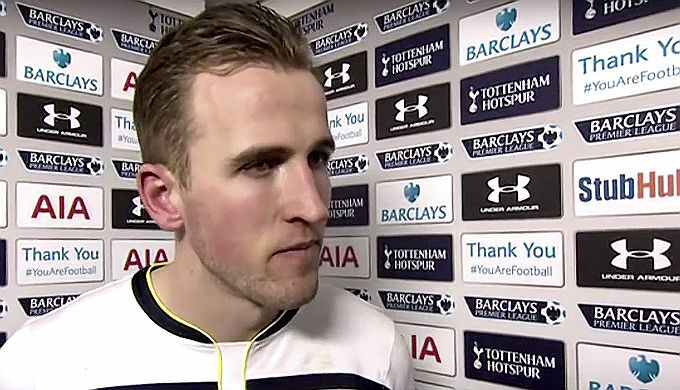 Striker Kane, meanwhile tells Sky Sports: “Incredible. We obviously wanted to finish the last north London derby here on a high note and we did that. We worked hard, we created the better chances, what a day. A great weekend for us. “It was a penalty for me. I was clipped, it was a foul. I went down the middle earlier in the season against Arsenal which is probably why Petr Cech stayed there this time. Arsenal, for the first time in 22 years, will finish behind Tottenham in the Premier League standings.